If you didn’t already know, Australia’s 2G mobile networks are closing down soon. Telstra will turn its off on December 1st 2016, Optus by April 2017 and Vodafone, who hasn’t announced anything yet, can’t be too far behind. This likely means nothing for most readers, as you’re probably an enthusiast with a fancy smartphone – but you probably have a friend or a relative, still happily rocking their turn of the century Nokia or Motorola, that will soon ask you for help in picking a new phone that’ll work once the shutdown takes place. Why are telcos getting rid of the 2G networks anyway? It’s so there’s more space in the radio spectrum for 4G (aka LTE) services. There’s only a limited amount of radio spectrum available for mobile phone use and to have chunks of it reserved for what is now considered an obsolete standard is a waste. As a result, the telcos will “re-farm” the old 2G radio frequencies for use on the 3G and 4G bands. The main reason people still love their 2G phones, however, is the simplicity of them. They usually just do voice calls and SMS. That’s it. That’s all some people want. No data, no apps. Luckily phones like that (aka feature phones) still exist. 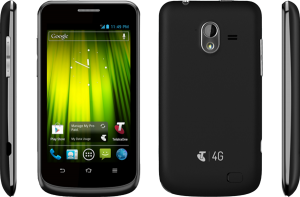 If price is the main concern, Telstra sell the ZTE Cruise T126 for just $14.50 at JB Hi-Fi – sometimes this can be as low as $9 when on sale at either Coles or Woolworths. Over at Officeworks, an Optus Alcatel 20.45X is $25 and if you need something from Vodafone, they have the Alcatel 2036 for $29. These phones are as basic as they get and if all you want are calls and SMS, will get the job done. However, some of the older people (and let’s face it, it’s generally older people who are still using 2G), prefer phones that are larger so things are easier to see. All these sub-$30 phones have tiny screens and tiny buttons. Optus sell the Doro PhoneEasy 623 and Telstra sell the EasyCall 3, which are designed specifically with elderly people or those with special needs in mind. Smartphones are ridiculously cheap too and for most people, can be very easy to use, thanks to accessibility features that allow text to be made larger, colours to be inverted and tap targets to be made big so they’re easy to touch. All the telcos sell smartphones for under $70. Again, it’s worth keeping an eye on the supermarket catalogues for sales on these devices, as that’s who tends to sell them for the lowest price. If you want to dig around on eBay or sites like Geekbuying or Everbuying for a phone (there’s some wacky designs from China you might like! ), just make sure it supports the 3G (aka UMTS) frequencies your telco uses. Particularly Chinese phones, which can sometimes leave some 3G frequencies out. Telstra and Vodafone use 850 & 2100, Optus uses 900 and 2100. With the 2G network shutting down, it may also mean anyone still using it may need to move to a new plan. For those with very light usage requirements (e.g: the phone is really only there for emergencies, not chatting with mates), Aldi (who resell Telstra-based service) provides some of the best value. You can recharge $15 or $30 and that credit lasts a year. Calls are just 12c/min and SMS are just 12c each. There’s no data in this plan, so if you do decide to go down the el cheapo smartphone path, make sure all data services are disabled, so that the $15 or $30 credit you recharge doesn’t evaporate in 20 minutes thanks to background apps assuming everyone in the world has data available to them all the time. If you need unlimited calls, unlimited SMS and a little bit of data, Kogan Mobile offer a service using the Vodafone network for just $14.79/month if you pay for a year up front ($179.90). Vaya offer unlimited text and talk too, on the Optus network for $16/month, or $14.50/month if you buy a year up front as well ($174). The best unlimited text and talk plan on the Telstra network comes from Woolworths Mobile for $27/m if you use an Everyday Rewards card to purchase credit. Hopefully this info helps you make a smooth transition from using a 2G only phone to 3G or even 4G services.